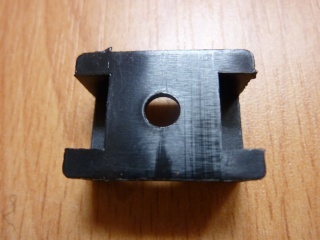 This piece of plastic is a cable tie mount, that you can find in any good DIY store. 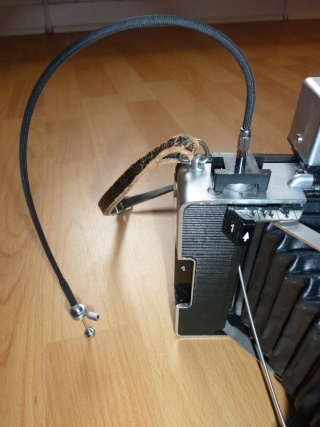 It will allow you to adapt any standard shutter release cable on any pack 100, without modifying a thing on your camera. Dernière édition par Dêche le ven. 10 décembre 2010 / 14:53 pm, édité 2 fois. Thanks for the DYI instruction ! Thanks for the tip! How does the block attach to the camera? Does it just happen to fit nice and tight, or have you stuck it on somehow? ped a écrit : Thanks for the tip! How does the block attach to the camera? Does it just happen to fit nice and tight, or have you stuck it on somehow? is true , that in english the information in magenta fonts is not available. Link seems to send me to a page to register an account? 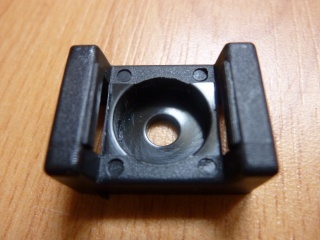 Where can i buy this little black plastic-thing in germany ? You should find this thing in a DIY or hardware shop in Germany, maybe to help you the best is to print the pic and show it to an employee at the shop, and parhaps bring your camera too, that may be useful! no, I don't think we have these in germany. we have a different system called "iso druck-schelle" which serves the same purpose but won't fit at all. Does it just happen to fit nice and tight, or have you stuck it on somehow? Associated with dog culture on the internet people concerning the improvements while using end result get in touch with with regard to needs to be.